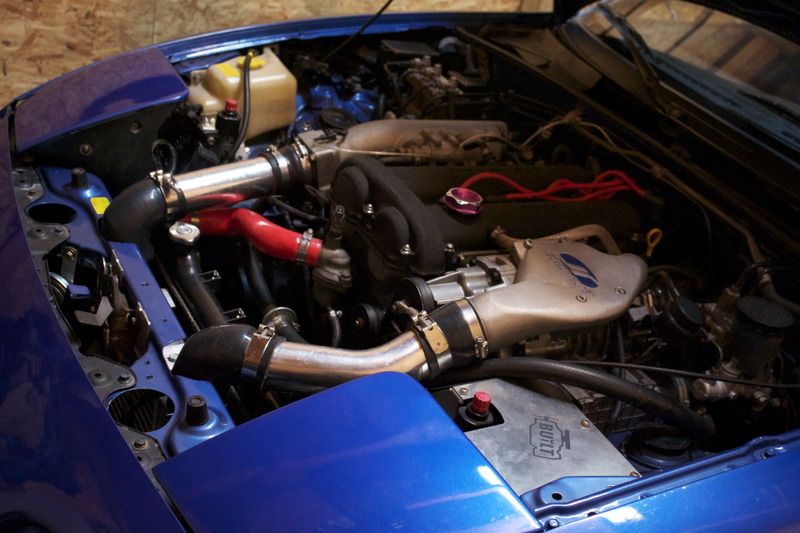 My JRSC set up - Miata Turbo Forum - Boost cars, acquire cats. Hey guys thought I would post up my set up in here. I have a 93 1.6 with an m45 and an air to air Intercooler set up. I'm making 5.5 psi. I'm using the powercard currently but have ms and a 62.5 mm pulley as well as rx7 injectors waiting to be put in. How much HP do you have ? Hey, I know that car! Nice setup, I think you will enjoy it. I am guessing it was making around 150, had a nice little pull to it. And yes Rleete I picked up this car from Jim a little while back. Thanks I just sold it too, Ill be removing it tomorrow and a gt2560 will be taking its place in about a month. Nice is it for sale the supercharger ? It was for sale, but he already sold it. is it still possible to get a SC charger setup for the 1.6? I believe Moss discontinued the 1.6 MP45 JRSC kits a while back, but they do pop up used on craigslist/eBay/forum classifieds now and again. Doesn't BEGI still offer the Shanghi-S kit for the 1.6? That should get you 5-6psi.